ITV3 is an entertainment television channel in the United Kingdom that is owned by ITV Digital Channels Ltd, a division of ITV plc. The channel was launched in 2004. ITV3 is the sixth largest UK television channel by audience share and the largest after the five main terrestrial services, the position which was previously held by its sister station ITV2. The channel is mainly aimed at the over-35 audience, and much of its output consists of reruns of older ITV drama series and sitcoms. The company are hoping to use it, and extra investment into its ITV2 channel, to triple non-terrestrial revenue within five years and this has led to the network purchasing the exclusive terrestrial television rights to a number of newer and in some cases popular US drama series, such as NUMB3RS and more recently Law & Order: Trial by Jury. 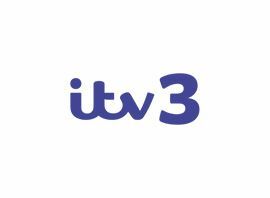 In line with the corporate rebranding of ITV, ITV3 received a new look on 14 January 2013. The channel was positioned as the "keeper of ITV´s treasured and timeless drama", with a new "midnight blue" logo and idents that feature stories told in shadow-puppet style animation inside glass bell jars. During the 2007 Rugby World Cup, ITV3 broadcast some of the matches while ITV and ITV4 were showing live European football matches which were being played at the same time and in the days when ITV4 was an evenings only service, ITV3 broadcast live weekend coverage of the Tour de France.